San Jose, Calif. – October 8, 2018 – iTalent Digital, the full-service digital transformation consultancy and software engineering firm, won five awards in the 15th annual Stevie® Awards for Women in Business.  The Stevie Awards for Women in Business honor women executives, entrepreneurs, employees, and the companies they run– worldwide. The Stevie Awards have been hailed as the world’s premier business awards. Additionally, Kelly Feller, Program Manager, Communications and Enablement at iTalent Digital, was recognized in the Employee of the Year category for the exemplary results she achieved for a client. The Gold, Silver and Bronze designations will be announced at a gala event in New York on November 16. Details about the Stevie Awards for Women in Business and the list of winners in all categories are available at www.StevieAwards.com/Women. iTalent Digital is an innovative global woman- and minority-owned digital consulting and software engineering company headquartered in San Jose, California. It helps companies achieve exceptional business outcomes through a suite of digital transformation services such as enterprise collaboration, automated mobile solutions, business insights and analytics, artificial intelligence, cloud integration, and change management.